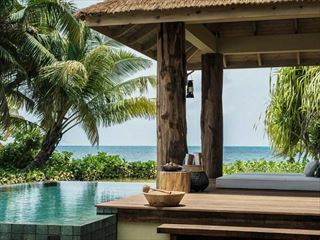 The Seychelles are well-known for its indulgent hotels and luxuriant landscapes, and this wonderful 14-night island-hopping tour will douse you in pure luxury, including opulent hotels, fun excursions, and luxurious amenities. 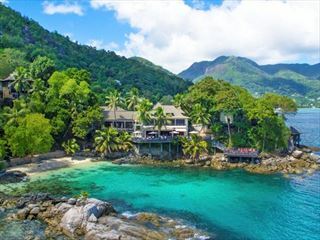 The adventure starts in Mahé, a vibrant island full of local markets and beautiful sandy coves, where you’ll stay in the hillside paradise of Banyan Tree Seychelles for four nights. 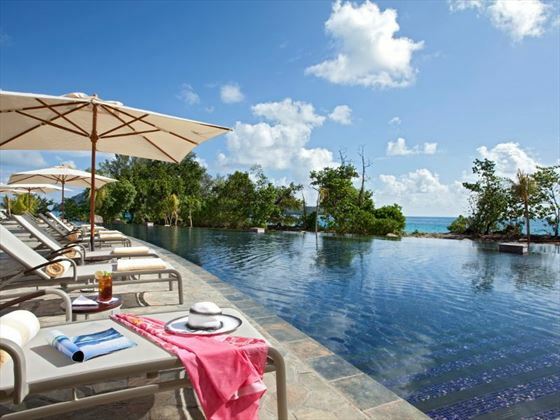 Afterwards it’s a short ferry to Silhouette Island, home to the luxuriously remote Hilton Seychelles Labriz Resort & Spa where you’ll spend seven nights soaking up the sun, dining on eclectic cuisine, and enjoying the tranquillity of a private island. 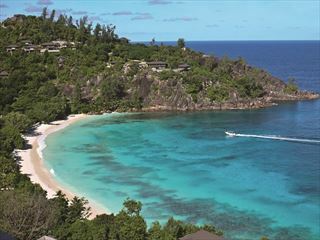 Next up is Praslin, well-known for its rare erotically shaped Coco de Mer nut, where the wonderful Raffles Praslin awaits. 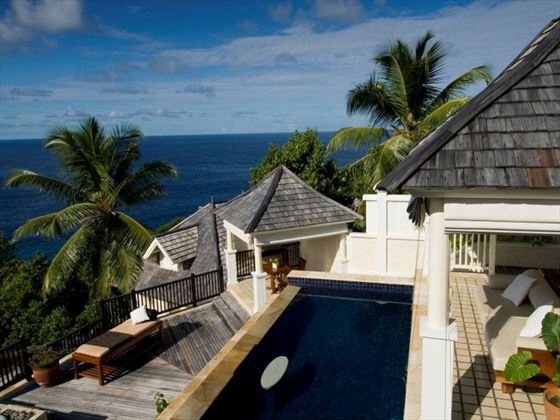 You’ll certainly feel like royalty as you venture between three of the Seychelles’ most spectacular islands, enjoy true luxury along the way. After an evening flight from London Gatwick, you’ll arrive in Mahé. 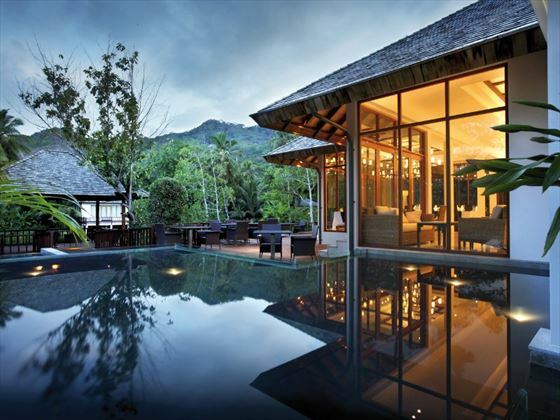 From here you’ll have a short car transfer to Banyan Tree Seychelles, where you’ll be spending four nights on a bed and breakfast basis in a Hillside Pool Villa. 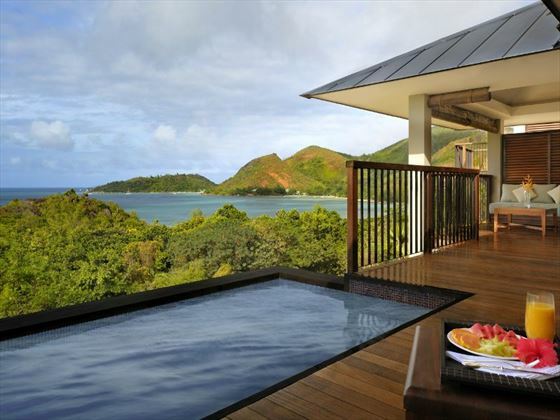 Nestled within luscious hillside just above Intendance Bay, Banyan Tree Seychelles is very opulent indeed, featuring first-class restaurants, a tranquil spa, and phenomenal villas. 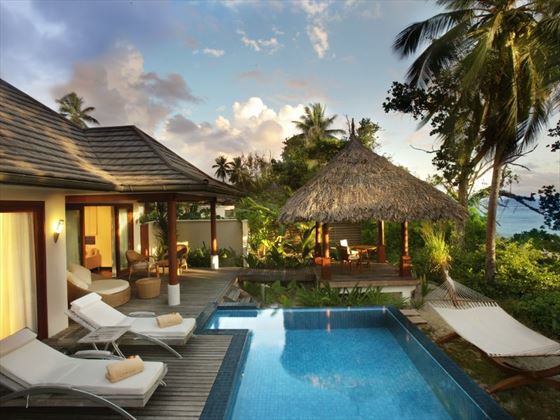 Your Hillside Pool Villa will be perched up high in the hills, with large floor-to-ceiling windows looking out onto the Indian Ocean, plus a private plunge pool and outdoor decking area. Mahé itself is full of authentic Seychellois fun, including vibrant markets, sugary sand beaches, fresh seafood restaurants, and incredible snorkelling opportunities. 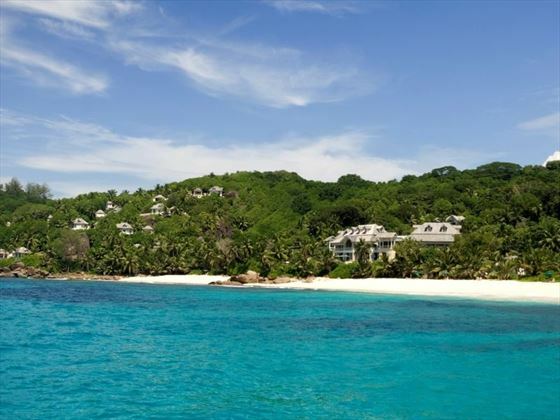 On day five you will transfer to the Victoria jetty and hop on a ferry to Silhouette Island, home to the luxurious Hilton Seychelles Labriz Resort & Spa. The only hotel on the island, you’ll enjoy a wonderfully remote and intimate experience here. From the phenomenal restaurant choices, sugary sand beach and glistening pools, to the wonderful spa built within the rocks, this luxurious hotel will feel very indulgent indeed. Day 11 will begin with a ferry back to Mahé, where you’ll then take a short connecting flight to Praslin for four nights of bed and breakfast at Raffles Praslin. This luxurious property oozes glamour and style, featuring powdery white beaches, a breath-taking ocean view spa, outdoor lounges, plenty of activities, and sumptuous eateries. Praslin itself is home to eye-catching beaches, but the main piece-de-resistance is the Vallee de Mai, a luscious forest shrouded with rare Coco de Mer palm trees and their erotically shaped nuts. Head here for a fun afternoon exploring the jungle and spotting colourful wildlife, or simply soak up the sunshine on the beach. Today you will fly back to Mahé, before hopping on an evening flight back to London.